All databases stand on a tripod of datatypes: strings, numbers and dates. And though they might dress them in fancy clothing – varchar2, clob, float, integer – strings are really just strings, and numbers are really just numbers. But dates — dates are interesting. In this article I’ll talk to you about dates, about time, and about how both are captured and calculated in an Oracle database. DATE is the main – or rather, original – datatype used in Oracle for holding dates. Beneath the plainness of its name, it hides a little depth. Firstly, for example, it doesn’t really hold a date, instead it records a datetime. It’s a seven byte store of century, year, month, day and hour, minute and second. Oracle does not compel you to supply a time element each time you enter a date, but it’s probably worth bearing in mind that one is always recorded (the default time is midnight). Let me show you what I mean – and in the process we can chat about the to_date function. Let’s start by creating a table with a date column. Now that’s done, let me talk to you about a dilemma that dates present databases with. When you present Oracle with, for example, ’21 January 2017′, how is it supposed to recognise that this is a date and not just a character string? Likewise, how’s it to know that ’21/01/2017′ isn’t just some complex piece of arithmetic? It’s as simple as that (by the way, here’s a short list of the codes you can use to describe the format of your date string). Now let’s insert a date into our table and then query it right back to see what’s in its time component. SELECT to_char(date_col,'DD/MM/YYYY HH24:MI:SS') "test date"
So even though we did not specify a time when inserting the date, a time of midnight has been automatically appended to our date (interestingly, if all we do is insert a time into our date column, Oracle will default the date component to the first day of the month). Like I said, I never use date literals myself, but you might find them more convenient. There’s no accounting for taste. There are a number of simple operations you can carry out with dates. You can, for example, compare them. Oracle considers a later date to be greater than an earlier date. In other words, Oracle believes that tomorrow is greater than today. Which, I guess, makes them optimists. You can also subtract dates from each other. This will give you the number of days between those two dates. SELECT TO_DATE('21 JANUARY 2017','DD MONTH YYYY') - DATE '2017-01-01' "date diff"
You cannot add two dates together. You also cannot slice them up and fry them in olive oil with chili and cumin. Which might sound like a ridiculous thing for me to say, but if you think about it, trying to add two dates together is just as ridiculous. There is one last thing I’d like to mention about the DATE datatype, and that is the sysdate function. A call to sysdate will always return the current date. I’ve been an Oracle developer for close to 20 years now (I’ll pause and give you a chance to say no way, you don’t look old enough!). Back when I started – a time when dinosaurs still roamed the plains and the earth was flat – the date datatype was all we had. However, as part of Oracle 9i we were gifted the timestamp datatype, and, in truth, I’m surprised that it hasn’t totally supplanted the date datatype by now. It should; it has everything date has and more. The timestamp datatype is made up of the century, year, month, day, hour, minute and second. But just when you start thinking, “Big deal, DATE did that too,” it whips out it’s joker: it also records fractional seconds. Admittedly, not all processes are so time-critical that a millisecond here or there makes a difference, but since timestamp is no more cumbersome to use than date you might as well always use it. The optional fractional_seconds_precision is a number – from 0 to 9 – which tells Oracle how many digits you want to store your fractions of a second. The default is 6. Let’s add a new column to our table and give this new datatype a spin. As you’ve probably guessed, the FF represents the fractional seconds. You can probably already see what the statements above do, but I’ll tell you anyway otherwise I won’t feel like I’m doing my job here. We’ve amended our table to add a new TIMESTAMP WITH TIME ZONE column (please note the syntax). Next we inserted a value into that column using a variation of the timestamp literal that we talked about earlier. You’ve probably noticed the two new format codes: TZH and TZM. You’ve probably also guessed that they stand for Time Zone Hour and Time Zone Minute. Before we move on from timestamps there’s one last function that I want to introduce you to: systimestamp. It’s analogous to sysdate and it returns the current timestamp with time zone. I live just outside London (GMT) and it’s just past nine in the evening right now. When I look out of my window, the trees look naked and arthritic, because it is late January. And since we know that an hour is one-twenty-fourth of a day, we can add and subtract them too. If I want to know what the time will be 3 hours from now. We can do the same thing for minutes (1/(24 * 60)) and for seconds (1/(24*60*60)) too. Some other handy date functions are LAST_DAY and NEXT_DAY, which return the last date of the month of the parameterised date, and the date of the next day of the parameterised weekday after the parameterised date respectively. next_day(TIMESTAMP '2017-01-21 21:32:48', 'FRIDAY') "next day"
I described the LAST_DAY and NEXT_DAY functions as “handy”. I was lying. In truth, I don’t remember the last time I used either of them. You might need them, but I never have. However, when I said that it is important to know how to add to a date that wasn’t a lie. Adding a duration of time – an interval – to a date is something developers are called on to do all the time. As you know, if we want to find out what the date will be in 1 – or even 100 – days one thing we could do is simply add 1 – or 100 – to systimestamp. However, we could also use the INTERVAL data type. Unlike DATE and TIMESTAMP which are records of pinpoints in time, the INTERVAL data type is a measure of an amount of time – 1 day, 100 days, 27 years or even 5 seconds. INTERVAL DAY TO SECOND – which records a duration of days, hours, minutes and seconds. Year_precision is the number of digits in the year field, whereas day_precision is its analog for the day field. Let’s add two interval columns to our table. But if you’re like me and you prefer functions to literals, you might want to note these two: TO_YMINTERVAL and TO_DSINTERVAL. The first of the two converts a parameterised string to a YEAR TO MONTH INTERVAL, while the latter does the same for DAY TO SECOND INTERVALs. SELECT systimestamp + TO_YMINTERVAL('17-3') "distant future"
SELECT systimestamp + TO_DSINTERVAL('12 8:04:00') "near future"
As we said at the start of this article, time is one of the tripods upon which the Oracle database stands. It’s impossible to get very far without an understanding of how to measure and manipulate it. This article is by no means exhaustive, but I hope that it provides the foundation you might need to go on and learn more. 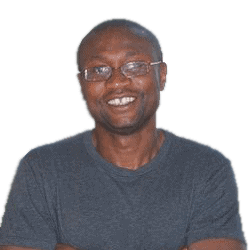 David Njoku is a software developer at CACI. His tools of choice are Oracle technologies and he has over a decade of experience building applications with Oracle Forms, Oracle Application Development Framework and Oracle Application Express. David holds a degree in Accountancy and earned his bread as a short story writer and a magazine editor and columnist before turning to IT. David can be contacted at about.me/davidnjoku. I’ve saw many pitfalls using date datatypes in Oracle SQL and Oracle PL/SQL; for example 1-“TO_CHAR(TO_DATE(SYSDATE))”; 2-using “TO_CHAR” a date value for comparing dates (this usually gives wrong results because of implicit formating); 3-Columns of type VARCHAR2 to store date strings; 4-A column is of DATE datatype with index and then quering over that column using TRUNC to “remove” time so the parser not use the index. He visto muchos errores al usar los tipos de datos DATE en Oracle SQL y Oracle PL/SQL.